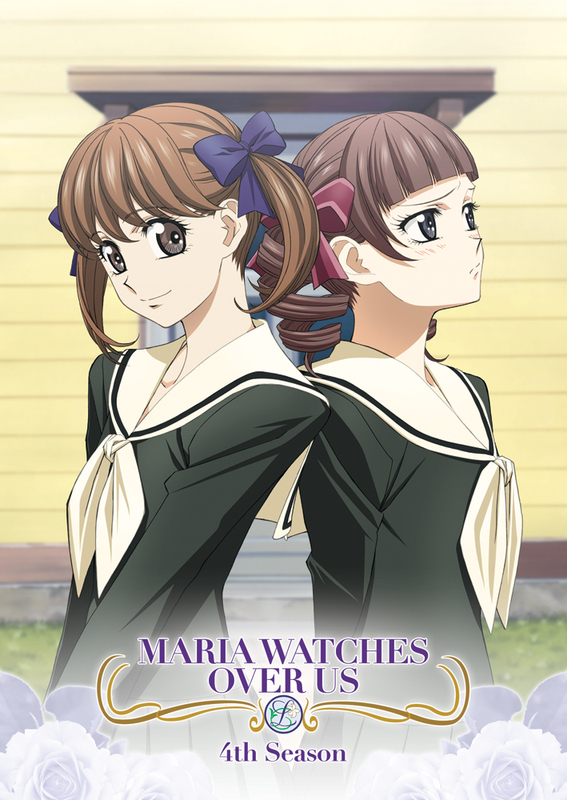 This Maria Watches Over Us Season 4 set contains episodes 1-13 and specials 1-11. This release includes two separate English subtitle tracks: one with regular dialogue subtitles and a second which retains all Japanese honorifics. Special Features: Clean Opening, Clean Closing, Liner Notes, Trailers. Season 4 is the final season of 'Maria Watches Over Us' (colloquially known as 'Marimite'), and continues in the tradition of the moderately-paced slice-of-life drama. Based on a light novel series (which sadly has still not been licensed), Marimite is a girls'-love tinted series that avoids fanservice. It takes place primarily at a private Catholic all-girls school with a system known as 'souers', or 'sisters' creating bonds between girls in different grades. The drama does get a bit heavier in season four, which goes through close to the end of the light novel series. It can get a bit far-fetched, but never roll-your-eyes wacky, and the characters remain full-fleshed and likeable.